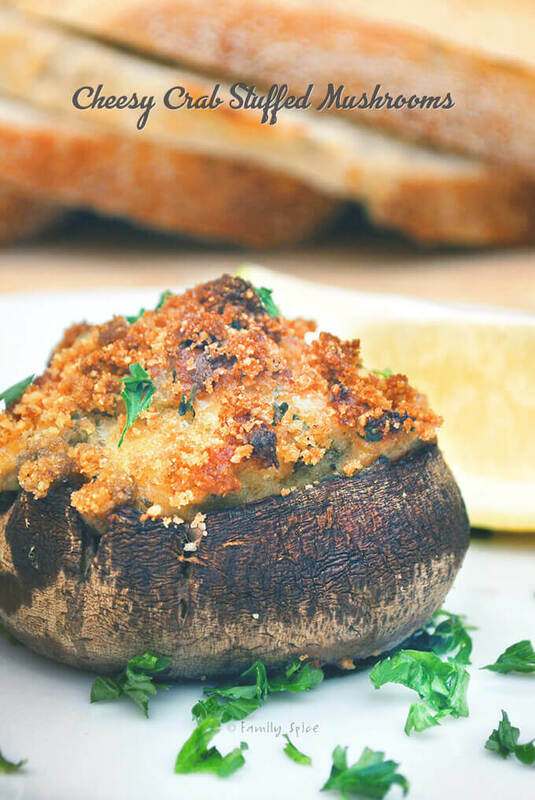 These Cheesy Crab Stuffed Mushrooms are over-flowing with cheesy crab goodness. And they are easy to make, too! I love mushrooms. Well, that’s an understatement. I absolutely adore anything and everything with mushrooms. And stuffed mushrooms? I haven’t met a stuffed mushroom that I could resist. Stuffed with spinach, sausage, artichokes… you name it, I positively love it. Stuffed mushrooms make the perfect party appetizer because they are bite sized, in their own edible container, and you can make a platter full without much work and fuss on your end. This crab stuffing are seriously cheesy and full own with flavor: crab meat, bread crumbs, mozzarella, dijon mustard, parmesan cheese, parsley and lemon juice. You can make them spicy with hot sauce, or keep them mild and omit them. I could seriously eat this entire platter, these crab mushrooms were THAT good. Now I made this with REAL crab and not that sweet fish artificial crab. You CAN use the artificial crab, don’t get me wrong. 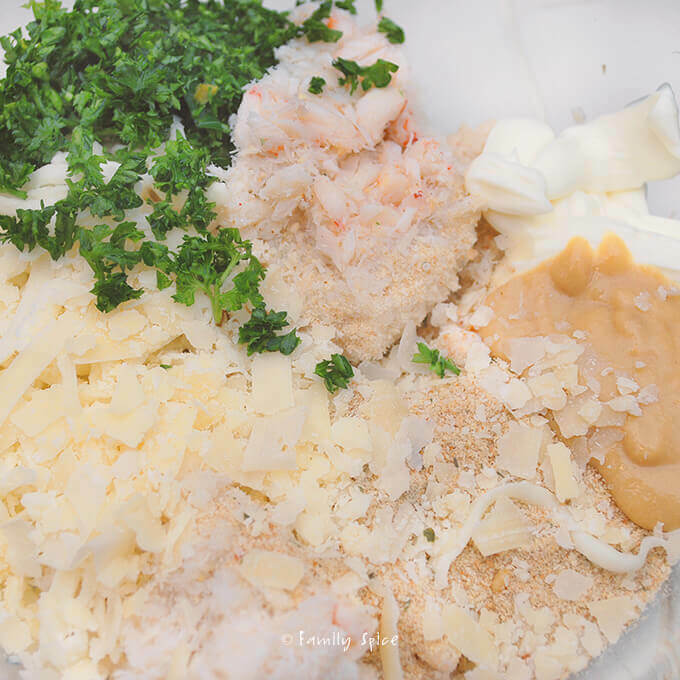 Just be sure to shred the artificial crab as it tends to be big and clumpy. Mushroom caps make wonderful shells, whether you are making mini-pizzas or stuffing them with spinach and artichokes or baking eggs in them. 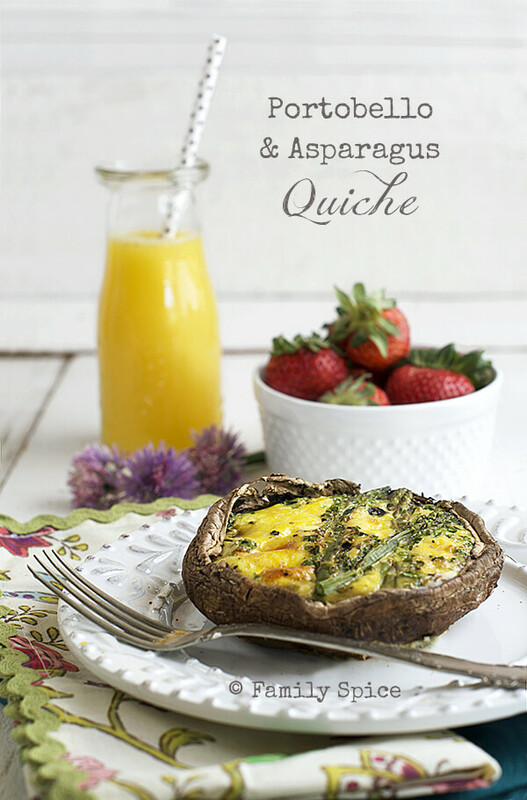 Have you ever made a quiche inside a big portobello mushroom shell? Soooo good! Grease a small baking sheet with cooking spray and set aside. Stuff crab filling evenly among the mushroom caps. 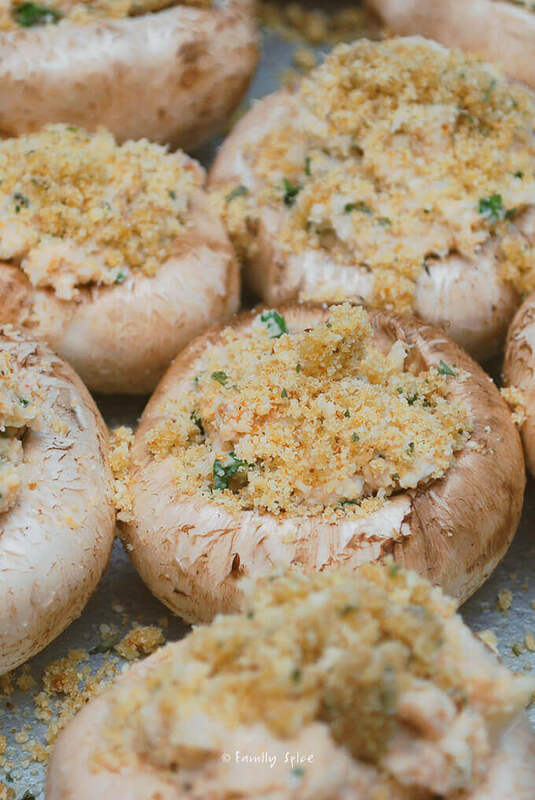 Top each mushroom evenly with bread crumb mix and bake mushrooms for 40 minutes, until filling is bubbly and tops are browned. Your ideas look great! Really interesting! Stunning photographs I LOVE that last pix with the yellow capsicum stuffed with spicy sausage superb. And the first photo is outstanding Cowboy Breakfast cups superb. An excellent posting on this challenge bravo to you. Wow! what a gorgeous array of creations! Love the idea of a savory french toast. 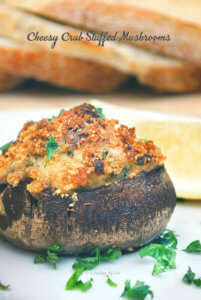 And I agree that stuffed mushrooms are da bomb! could eat them every single day. And, like diet coke and a brownie, you can put anything inside since you're eating vegetables! 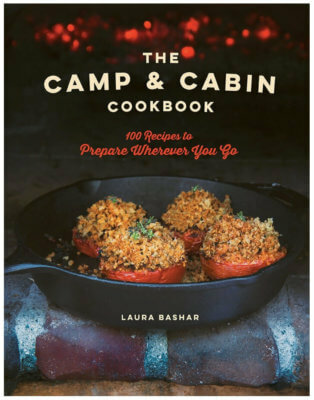 Laura, These all look wonderful. I love stuffed peppers but the first photo and the stroganoff have my interest the most. What a great challenge this month. Wonderful stuff (no pun intended)! That sweet French toast is calling my name! Love the peppers too–I haven't had those in a while, but will fix that as soon as I get home to my own kitchen. Gorgeous shots!!! Everything looks so delicious. I like the beef stroganoff and those stuffed mushrooms yum! I baked an egg in a potato recently and love the idea of baking one in a tomato!! Oh, loads of fantastic ideas! I especially love your peppers and the crab-stuffed mushrooms! Great post too – love your enthusiasm. I do the whole diet coke thing all the time so I can eat more cakes! I'm so happy you enjoyed the challenge so much! I love your creativity, including the sweet ones (yum), and your tortilla bowl is indeed just like a cowboy hat! Amazing! Thank you so much for participating! Great job! You had so many great ideas for edible containers! I love the idea of baking an egg in a tomato. Perfect healthy breakfast bite. Usually you make eggs unhealthy when trying to make them portable with a bacon cup or quiche dough. I am so impressed! I can't believe you made all of these, and that they all turned out so beautifully! I am super jealous. I must say, the french toast is my favorite, but they all look so yummy. Which reminds me, I need to get on that challenge myself . . .